The basic concept of our practice: Integrative Natural Medicine. At our clinic, Natura Medica Ltd, we do practice what we call now Integrative Natural Medicine. Another fancy name to attract people? We do not define ourselves by our method of practice, we do not say "I am a Homeopath, a Herbalist, an Acupuncturist, a TCM practitioner, a Nutritionist, a Naturopath, an Ortho-Bionomist, a Dorn Therapist, a Reiki Master, a Reflexologist, a Medical Doctor, a Registered Nurse" or whatever else. Basically we use all the different approaches for diagnostic (yes, we use that dreaded word...) and treatment in a wholistic way, meaning that there is no preconception on how anyone will be treated. It is a blank page for every person; a diagnosis is build using the tools of conventional medicine, Homeopathic Medicine, Physiomedicalism, Chinese Medicine, Osteopathic Medicine and others; then a therapeutic programme is created using what we believe is the best, fastest, safest and cheapest way to restore total health (or as close as possible to it), specifically for each and every patient. What is a diagnosis? the understanding of the mechanism, the process, that led to the patient's actual situation. The label does not matter, this is a matter of semantics and ease of communication: saying "eczema" has some common meaning for everybody (and a different one for each person), instead of using a long circumvented and often unintelligible sentence...but the same "eczema" might as well be labelled "wet fire in the Lung meridian and Lung Zang" or an "itchy, scratchy, dreadful nuisance"...it really does not matter, we still will try to find roots, causes, maintaining causes and ways to eliminate them. I was a conventional medical doctor for 25 years, 17 of them spent as a specialist surgeon, as you will read on my personal page. I am not registered to practice conventional medicine in New Zealand, but my knowledge has not disappeared. Eugenie, my wife and partner at the Clinic is still a Registered Nurse. We both use all the tools we have studied over the years in the best interest of our patients. Admittedly, I will most often use Homeopathy and Eugenie will use Reflexology, FJMobilisation, Pranic Healing and Reiki. That does not prevent any of us from using any other technique, mixing them, creating new methods, discovering new ways, being creative and ingenious as the need arises. And that is Integrative Medicine. We added Natural because most if not all of our treatments are based on Natural Laws; we have moved away from techno-pharmaceutical therapies although if and when the need arises we will not hesitate to refer patients for other methods of treatment we do not practice any more. In the last 13 years(since opening the clinic in October 2001) this happened less than 10 times. 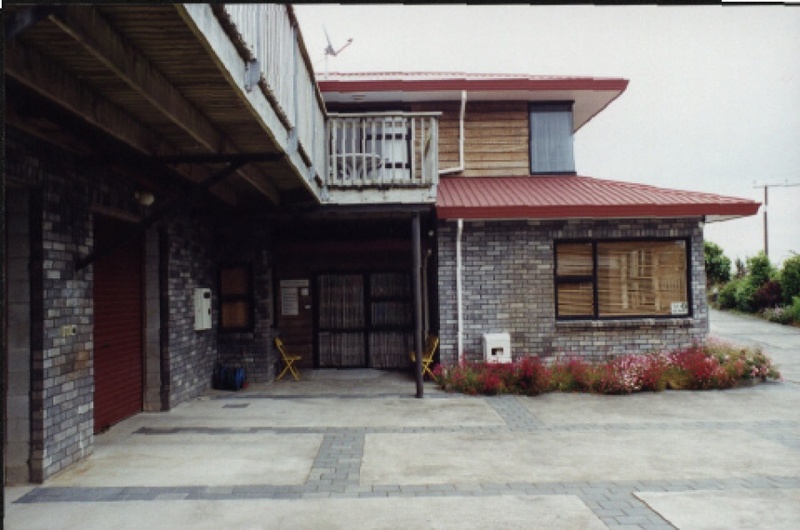 We are located at 44 Karina Road, New Plymouth, 4312, Taranaki, New Zealand. Plenty of free parking as you can see on the picture. For those who want details, here is the range of specialties we do practice: Homeopathy, Herbalism, Homeobotanical Medicine, Acupuncture, TCM (for diagnostics and as an acupuncture tool, no Chinese Herbs prescribed), Naturopathy, Nutrition, Bach Flowers, Homotoxicology, Dorn Therapy, Ortho-Bionomy (TM) (as part of DSSI, largely modified from what I learned), VIsceral Manipulation (Barral technique), Cranio-Sacral Therapy (CST), Foot Joint Mobilisation, Reflexology, Reiki, Pranic Healing. We are NOT ACC providers.